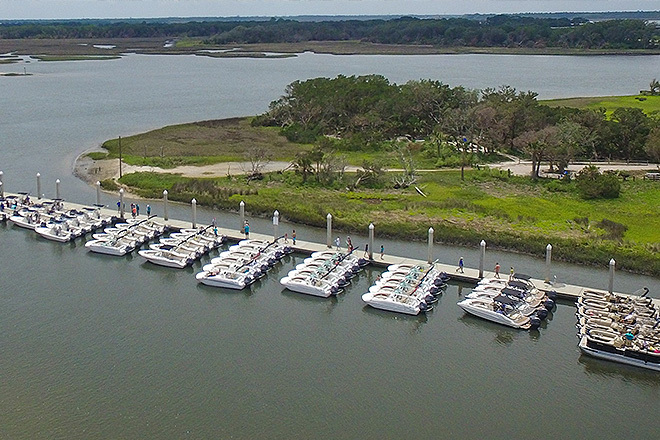 Location: Julington Creek Marina 12807 San Jose Blvd., Jacksonville, Fla.
About Julington Creek Marina: It is conveniently located off San Jose Blvd., just north of the bridge over Julington Creek. 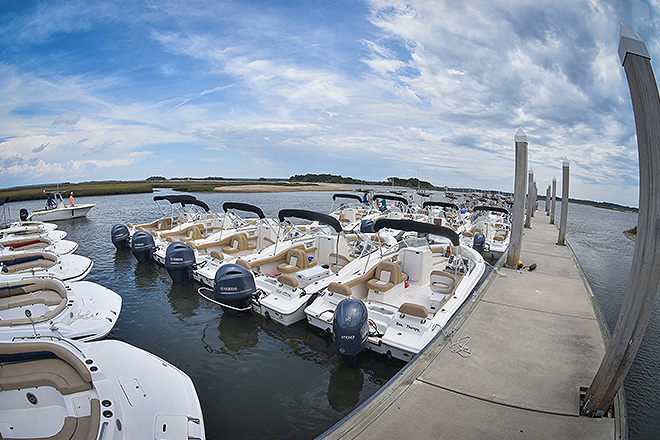 It is a full-service marina with a ships’ store, restrooms, and ice. There are several great restaurants within walking distance of the marina and some will deliver to your boat at the dock. 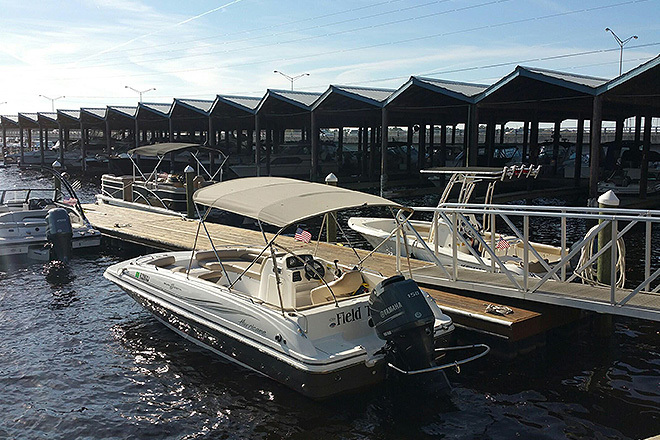 The marina offers easy access to the St. Johns River, Julington Creek, Black Creek, and the downtown Jacksonville Landing. Lots of great fresh water fishing. Various fun stops, like the rope swing, great wakeboarding, tubing and skiing. Here is a list of the top seven activities of our Jacksonville club members. 6. Fishing, fishing, and more fishing. He joined on Sunday, trained on Monday, took has family out at Julington Creek on Tuesday and then he went out on a boat in Palm Beach on Thursday. Thank you for arranging the boat for us at Palm Beach on Thursday. My son and I took the boat a short distance to Peanut Island and snorkeled at the man-made reefs. We saw all kinds of fish and he kept saying "this is awesome... Dad look at this... look at this." We also met a nice couple for Ponte Vedra who belong to our club and were using a boat in Palm Beach as well on Thursday. I already appreciate how nice the boats are in Jax. When I first joined, I kept thinking, I keep waiting for the other shoe to drop, it never does. 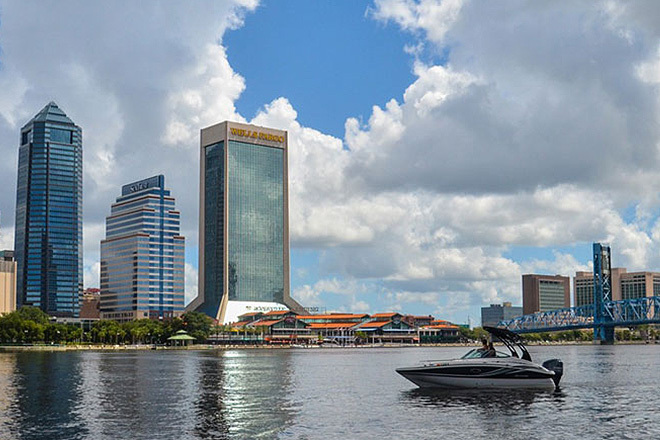 When we moved to Jacksonville from Tampa, we joined for a worry-free boating experience. 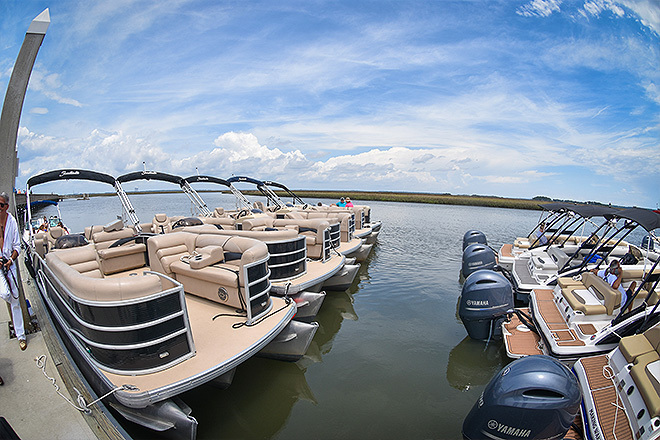 Nobody told us about the friends we'd meet or the fun we'd have both on and off the water. Boating to the Jaguars game was one of the neatest experiences we've had so far in Jax. 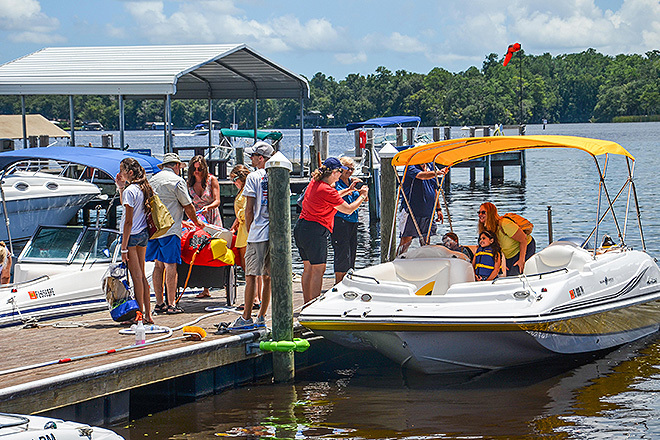 Freedom Boat Club is a great club and these forays are a fun event. Had a great experience at the Destin club today. You guys - and this program - ROCKS! I have been thrilled with our membership. We have had a blast tubing in the St John' last summer and look forward to this summer. It's been a great experience for our family. 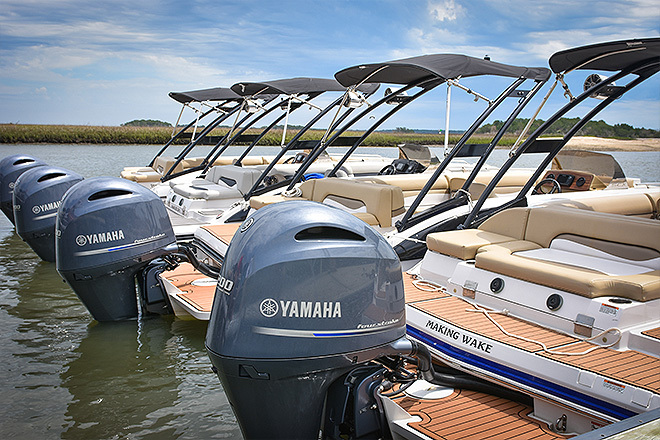 Truly all of the great things about boating but none of the hassles. FBC has lived up to every end of the agreement. 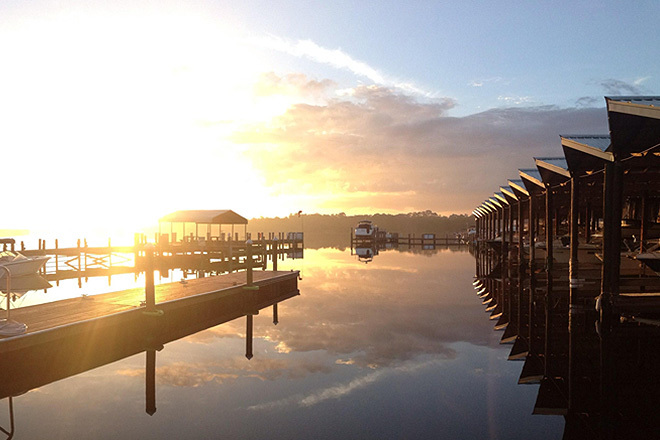 We took out a nice family boat in Ft. Myers franchise this past week and it was an equally great experience. It only cost gas and a gratuity! Please feel free to offer my name as a reference. Effective Jan. 1, 2010, boat operators who were born on or after Jan. 1, 1988, must have a Florida Boating Safety Education Identification Card to operate a motorboat with 10 horsepower or more.. From boats, bridges, shore or surf, there are plenty of opportunities to catch the big ones. But you will need a fishing license. Call the Florida Fish and Wildlife Conservation Commission at (888) 347-4356 for details and fees. All licenses are available from the county tax collectors offices and sub-agents located at tackle shops, fish camps, hardware stores and sporting goods stores.